It’s hard to believe we’re only on day five of this twenty-one day program. I’m wiped out. Not just mentally tired, but physically worn out, which is weird because I haven’t been doing anything but sitting in a chair. Come to think of it, it’s a lot like flying one of these jets: long hours sitting in a seat trying to stay focused. Eventually your body can’t maintain that anymore and your performance suffers. You forget little things, your reaction time suffers, mistakes are made. Studies have shown that the effect is no different than trying to fly after having an alcoholic beverage or two. That’s why the FAA has “duty limits” for most professional pilots. Anyway, the agenda for today was finishing up the “systems”. In the first four days we covered instruments, manuals, emergency equipment, communications, navigation, autopilot, the FMS, fuel system, electrical system, fire protection, lighting, engine, APU, hydraulics, and avionics training. Today we slogged through landing gear, brakes, flight controls, pressurization, air conditioning, ice & rain protection, oxygen systems, and pneumatics. If you got tired just reading that, I know how you feel. In terms of capability and redundancy, the airplane’s systems are light years ahead of the turbine equipment I’ve been flying — basically mid-60’s era King Airs with the a/c, autopilot, and other creature comforts ripped out. By comparison, the G-IV has auto throttles, advanced flight guidance systems, an automated, idiot-proof electrical system, and engines so powerful that you don’t need to add any thrust on a V1 cut to get a 1,000 fpm climb on a single engine. Yet some elements of the jet are starting to show their age, especially where avionics are concerned. This is not a surprise, because little has changed in aviation over the last decade except where computers are concerned. I asked the instructor why, in the presence of all these Aircraft Service Change (ASC) kits to upgrade various parts of the plane, nobody’s come up with a G1000 or ProLine 21 retrofit for the aircraft. The answer: there’s no money in it. 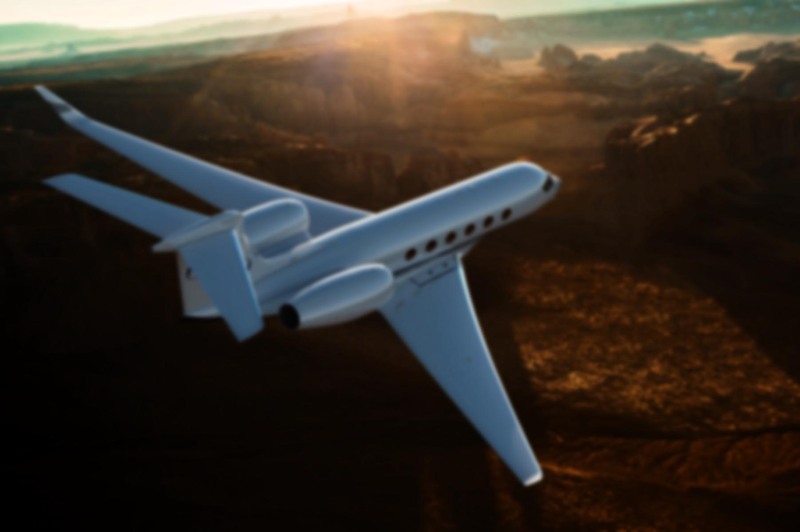 Gulfstream is no longer producing the IV, so there’s no profit to be had by doing all the work required to get FAA approval for those changes. Ironically, they sort of are still producing the airplane. They just call it a Gulfstream 450, and wouldn’t you know it, one of the big things that sets it apart from the G-IV is the avionics. In fact, I was told that this is one of the reasons that the 450 requires a different type rating — one that the airplane shares with the G-550 and supposedly will share with the G-650 when it comes to market. After class my sim partner and I managed to eke out another hour or two in the IPT (interactive procedures trainer) working on checklist flows and systems checks. The IPT is a series of touch-sensitive flat-panel computer monitors set up to physically duplicate the cockpit. It runs the same Simfinity software that the instructor has been using in class. The only difference is that instead of using a mouse, we can touch the screen. The left and right sidewall panels are missing, which is a bummer because there are many items on those panels I’m not familiar with from my previous flying: passenger oxygen, emergency landing gear and flap extensions, nosewheel steering tiller, quick-don O2 mask, etc. But it’s better than nothing. By the time 7:00 p.m. rolled around, we were both done. But even fried pilots have to eat, so we joined the rest of our classmates at a local barbeque joint for dinner. At the moment, my only thought for tomorrow is to sleep. Something tells me it won’t be tough to do.